Bill Gates, former CEO and current chairman of Microsoft, started the The Bill & Melinda Gates Foundation back in 1994, (with an initial stock gift of $94M) where it was then called The William H. Gat...	es Foundation, but later named to the one we now know in 1999. 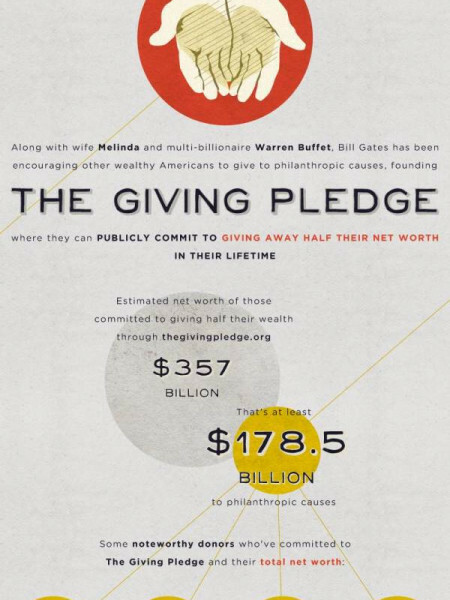 In 2000, the foundation merged with The Gates Learning Foundations, where Bill donated a further $126M. Since them, many other notable leaders of their industries ( have also joined the foundation whereby they donate part of their wealth to the foundations goals. Some of the most famous doners to the foundation are Warren Buffett, Baron Hilton, Geore Lucas, Paul Allen, David Rockefeller, Ted Turner and Mark Zuckerberg.